So as you can see, being a dapper dude doesn't require that much effort. 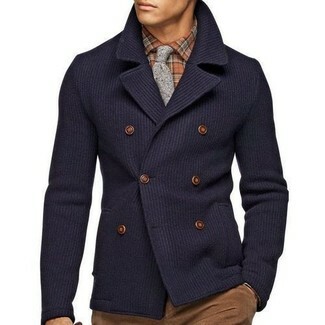 Just pair a navy pea coat with Hudson Jeans hudson pleated cropped pants and you'll look incredibly stylish. 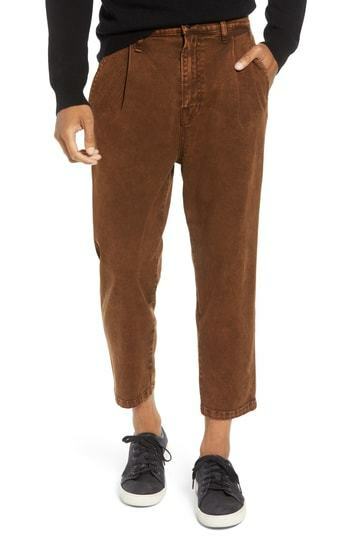 If you're scouting for a casual yet seriously stylish ensemble, team a brown knit turtleneck with Hudson Jeans hudson pleated cropped pants from Nordstrom. Both pieces are totally comfortable and will look great paired together. 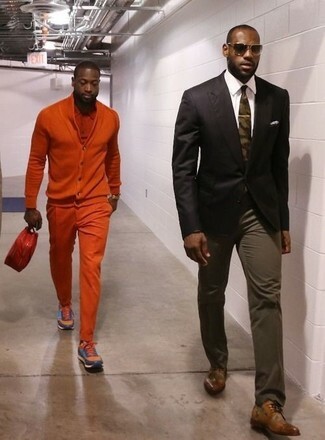 Look at how well this ensemble is finished off with white low top sneakers. This pairing of a dark brown blazer and brown chinos is super easy to make up without a second thought, helping you look awesome and ready for anything without spending too much time searching through your collection. Brown leather derby shoes will add elegance to an otherwise simple ensemble. 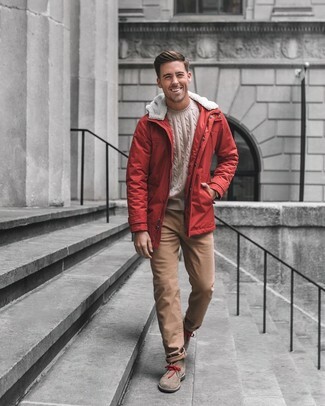 Combining a red parka with Hudson Jeans Hudson Pleated Cropped Pants from Nordstrom is a good option for a cool and casual look. 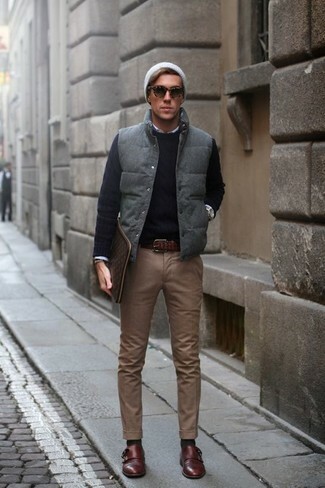 Why not take a classier approach with footwear and add brown suede desert boots to the equation? Such items as a navy vertical striped blazer and Hudson Jeans hudson pleated cropped pants are the great way to inject some sophistication into your day-to-day fashion mix. If you're scouting for a casual yet sharp look, go for a blue plaid flannel long sleeve shirt and Hudson Jeans hudson pleated cropped pants. Both items are totally comfortable and will look great together. 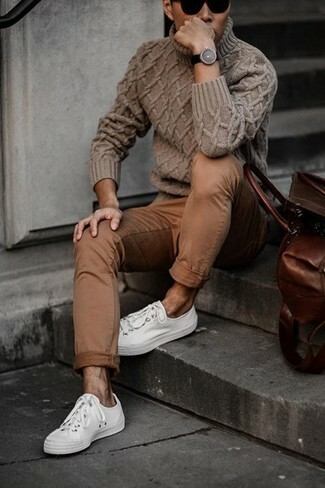 When it comes to shoes, this outfit is complemented well with brown suede low top sneakers. 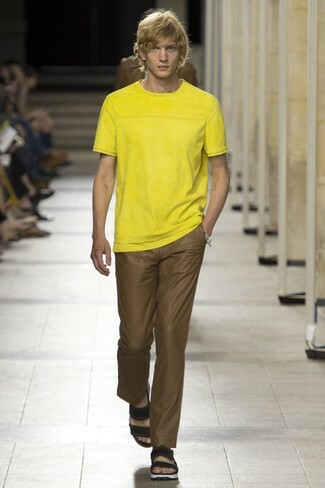 If you're searching for a casual yet dapper look, consider pairing a yellow crew-neck t-shirt with Hudson Jeans hudson pleated cropped pants. Both garments are totally comfortable and will look great paired together. Break up your outfit with more casual footwear, such as this pair of black leather sandals. 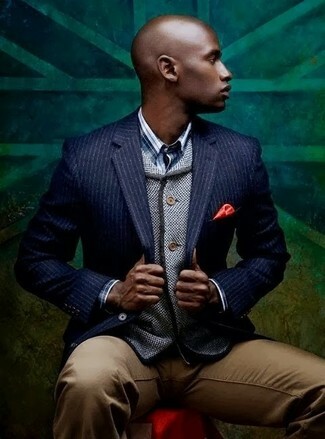 This combo of a navy military jacket and brown chinos is simple, stylish and super easy to imitate. If you're looking for a casual yet sharp look, pair a grey quilted gilet with Hudson Jeans hudson pleated cropped pants from Nordstrom. Both garments are totally comfortable and will look great together. You could perhaps get a little creative in the footwear department and dress up your outfit with dark brown leather double monks.